Primary Stat: Intelligence (INT): The higher your INT, the more damage you'll do when attacking. Some equipment require a certain amount of INT before you can use them. 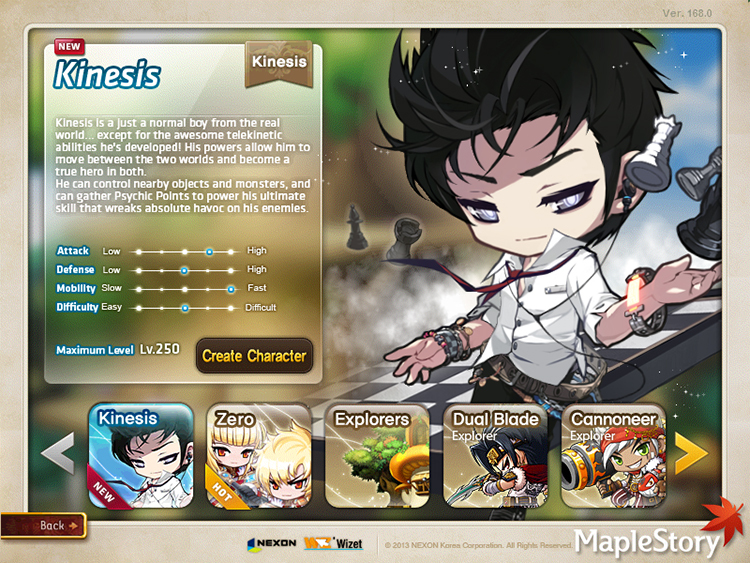 Meet Kinesis, who uses the power of telekinesis to attack and control monsters and nearby objects! 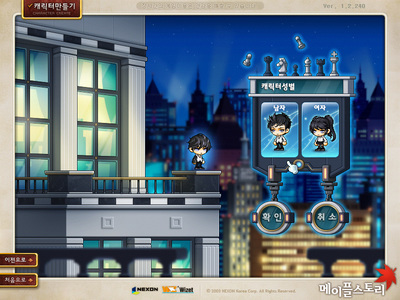 Kinesis starts in FriendStory and is known as a local hero. 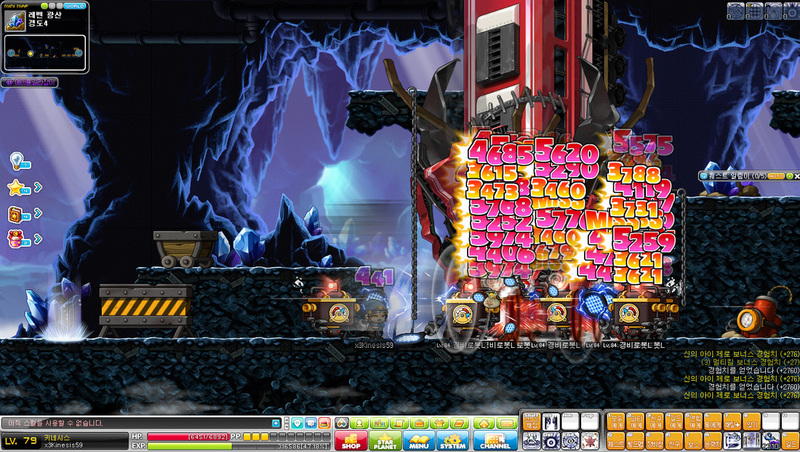 When certain events spin out of control, Kinesis is transported to Maple World. Kinesis stores up Psychic Points (PP) by using skills, and can then use PP to power various Ultimate skills. The main weapon is the PSY-Limiter, which looks like a bracelet. The Chess Piece is the secondary weapon, and Kinesis can use Magician armor. 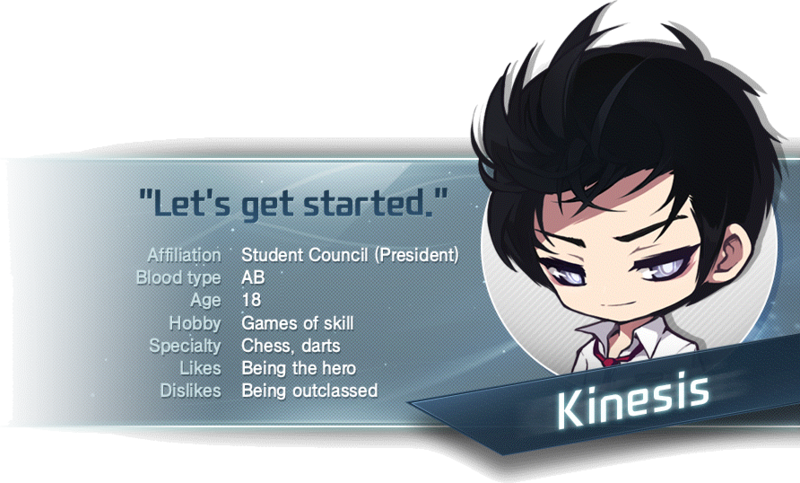 Kinesis was a normal student attending the School for the Gifted in the real world. One day he mysteriously gained telekinetic powers. With a strong sense of justice, Kinesis quickly put his newfound power to good use by helping people in need. Around the same time that Kinesis gained his powers, strange occurrences started happening around his town, always preempted by a mysterious message from someone online calling themselves 'WM'. While following one of the leads from the mysterious WM, Kinesis was pulled into a catastrophic sinkhole that also destroyed a large part of the city. 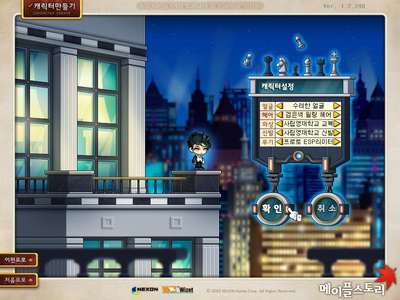 Kinesis was saved by the magician Nero and brought to Maple World. 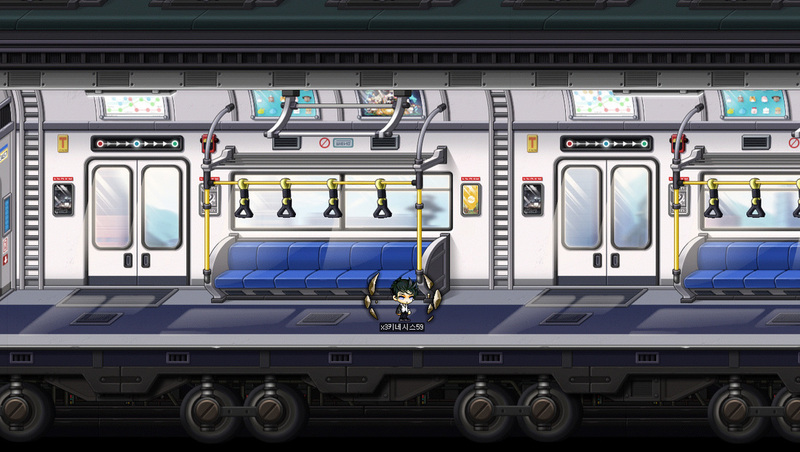 Kinesis now must train in Maple World so that he can gain enough power to return home and save his world. 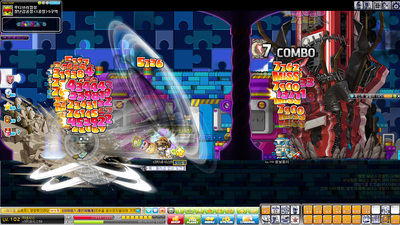 Uncover the mystery behind Kinesis' powers and become a true hero in both worlds! Kinesis the Supernatural! Control object and monsters around you using telekinesis and used Psychic Points (PP) instead of the MP. Perform devastating attacks by using Ultimate Skills. 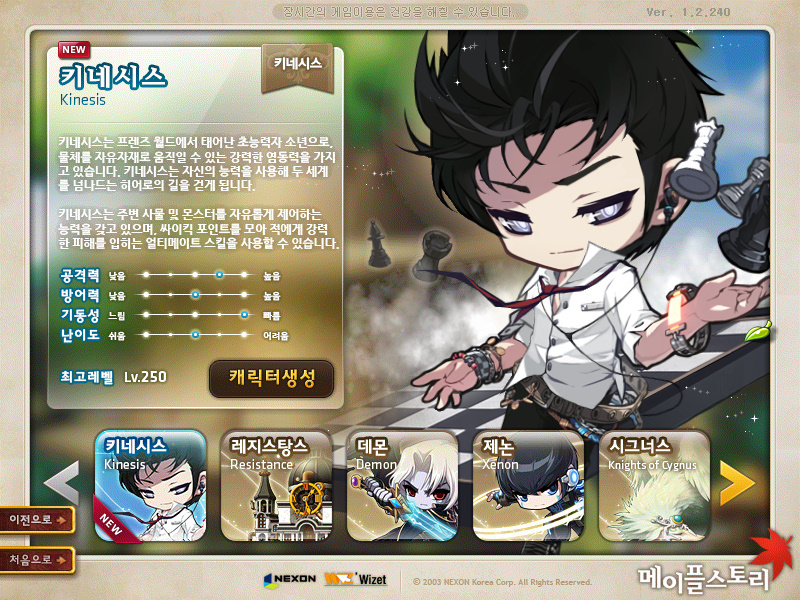 Kinesis's character card will increase INT by +10 on Lv30, +20 on Lv60, +40 on Lv100 and +80 on Lv200. Descriptions: Using the power of telekinesis to strike the enemies in front of you. Skill can be used using the default attack key. 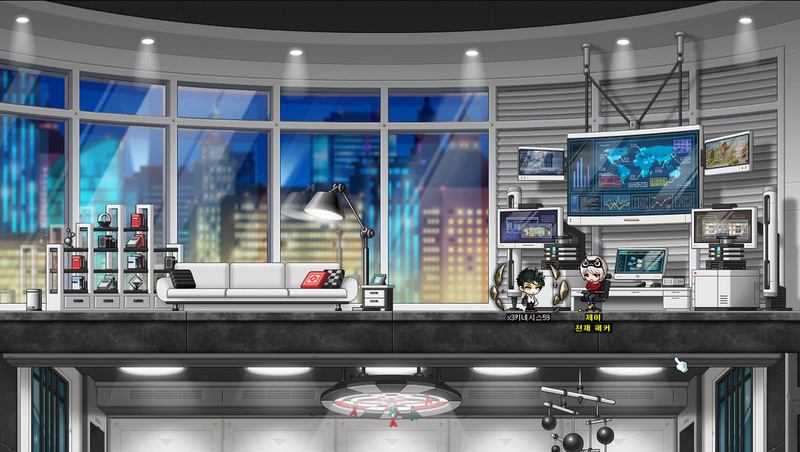 Descriptions: Return to Kinesis hideout headquarters. Descriptions: Detected by the power of extraordinary and enable all physical abilities. Descriptions: Find the best spot possible to innate a fatal judgement to the enemy. Descriptions: Using the power of telekinesis to strike the enemies in front of you twice. 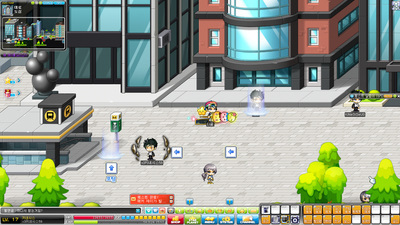 Descriptions: Using the power of telekinesis, push a large number of enemies forward. 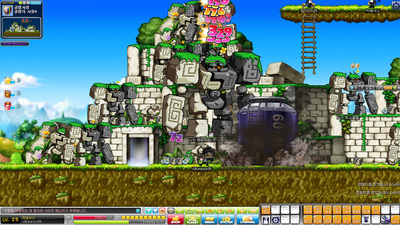 Descriptions: Lift a giant structure nearby and smash it down into enemies in front of you. Descriptions: Using telekinesis instinct to protect the body. Consuming Psychic Point to reduce damage taken when skill is activated. Skill will automatically reactivate itself when you have Psychic Point. However, if Psychic Point is 0, your HP will be consumed. Descriptions: Temporary increase your Attack Speed. ​Descriptions: Jump in and jump again to move long distances. ​Descriptions: Permanently increase your Max HP, Magic Attack, Jump, Speed and Maximum Speed. ​Descriptions: Using the power of telekinesis, lift up surrounding enemies then smash them into the ground. Descriptions: Enhances Psychic Force. Using the power of telekinesis, push a large number of enemies forward or downwards with the arrow key ↓. Descriptions: Using the power of telekinesis, lift enemies around you into the air. Descriptions: Create a giant rock with telekinesis then crush enemies by disassembling it at high speed. Enemies hit will have all of their buffs removed for 60 seconds. Descriptions: Create a dense film of telekinetic energy around yourself to protect your body. Descriptions: Use the pure power of telekinesis to defeat all enemies in your way by increasing your damage. Descriptions: Permanently increase your Max HP, Magic Attack, Jump, Speed and Maximum Speed. Descriptions: Permanently increase your mastery over the Kinetic Limiter weapons, critical rate and your INT. Descriptions: Using the power of telekinesis, pick up monsters and objects around you. 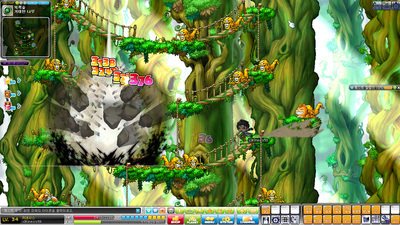 While holding enemies/objects in the air, you can choose your next action with additional effects. [Psychic Smashing] While holding enemies/objects you can reuse Psychic Grab to slam them down forward in front of you to hit other enemies. ​Descriptions: Using Psychic Force, create a psychic area. You can also activate this skill by pressing ↑ + [Psychic Force]. After the area is created, enemies within it will have their defense and movement speed decreased and will take increased damage from Psychic attacks. Descriptions: Lift a giant train and make it crash down in front of you continuously. 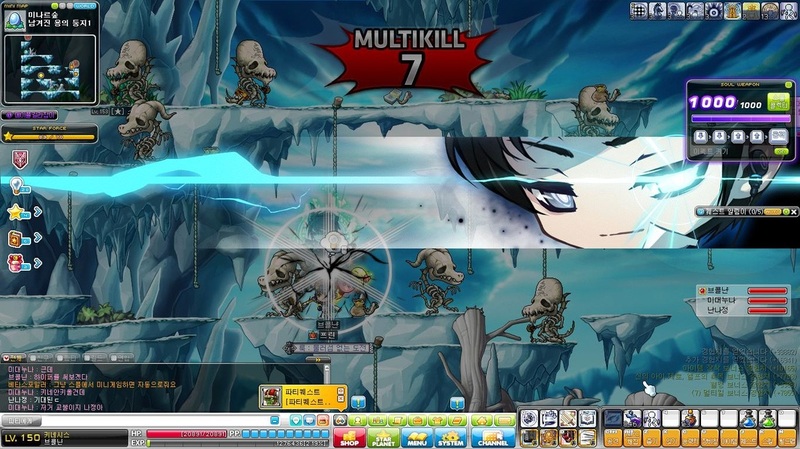 Descriptions: Kinesis’ attacks have a chance to create an additional attack using telekinesis. This skill will not activate on Ultimate skills, Psychic Force, or Psychic Shot. Descriptions: Enhances Psychic Shield. Create a dense film of telekinetic energy around yourself to protect your body. Descriptions: To concentrate on the inner surface to prepare for the upcoming battle. Descriptions: By riding telekinetic waves, walk freely upwards through the air. Descriptions: With masterful telekinesis control, hit your enemies’ weak spots with refined and deadly attacks. Descriptions: Psychic power enhances your body past its limit, increasing its resistances. Your resistance to statuses and elements are permanently increased. Descriptions: Using the power of telekinesis, mitigate the effects of enemies’ attacks, permanently decreasing damage taken. Descriptions: Using an even stronger power of telekinesis, pick up monsters and objects around you. While holding enemies/objects in the air, you can choose your next action with additional effects. [Psychic Smashing] While holding enemies/objects you can reuse Psychic Clutch to slam them down forward in front of you to hit other enemies. [Ultimate – Psychic Shot] While holding enemies/objects you can press ↑ + [Psychic Clutch] to throw all of them away in the direction you are facing. Descriptions: Using telekinesis to control enemies and objects, change them into strong projectiles. This skill will level up with Psychic Clutch. Descriptions: Attack enemies in front of you with concentrated telekinetic force continuously. Descriptions: Using an even stronger Psychic Force, create a psychic area. You can activate this skill by pressing ↑ + [Psychic Force]. After the area is created, enemies within it will have their defense and movement speed decreased and will take increased damage from Psychic attacks. Descriptions: Create a spiritual wave that instantly breaks enemies’ spirits. Along with high damage, there is a certain chance to instantly kill regular monsters in range. ​Descriptions: Increases the stats of all party members. Descriptions: By reading the flow of psychic energy, charge your Psychic Points. This can be used while moving. In addition, your boss damage is increased. Descriptions: Cleanse the spirits of nearby party members, removing all statuses. In addition, your resistance to statuses is increased. Descriptions: Find true effectiveness and increase your offenses for a certain period of time. Descriptions: Your true psychic powers are awakened, allowing you to manipulate stronger forces. Descriptions: Concentrate your inner spirit, optimizing buffs effects for yourself. Descriptions: When you reach your critical point, your abilities are increased to their threshold. Descriptions: By realizing the truth of telekinesis, attack with pure telekinetic power. Descriptions: Completely mastered the power of telekinesis and ESP Limiter.